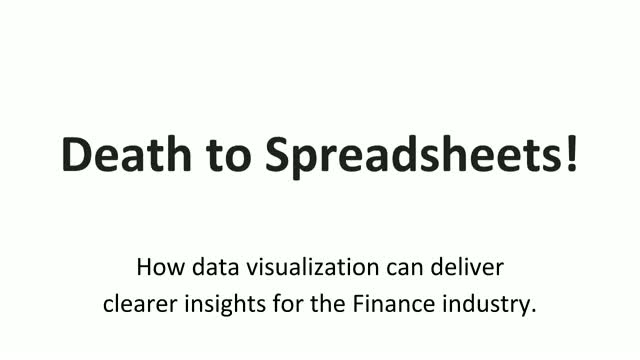 Despite the growing popularity of data visualization tools across all industries, the finance sector still relies heavily on seeing data presented in tabular form. Analysts in financial institutions often spend a large part of their day pouring over spreadsheets, extracting numbers, pivoting tables, running macros and making adjustments before creating static reports to print for management meetings. But what happens if you have another question?